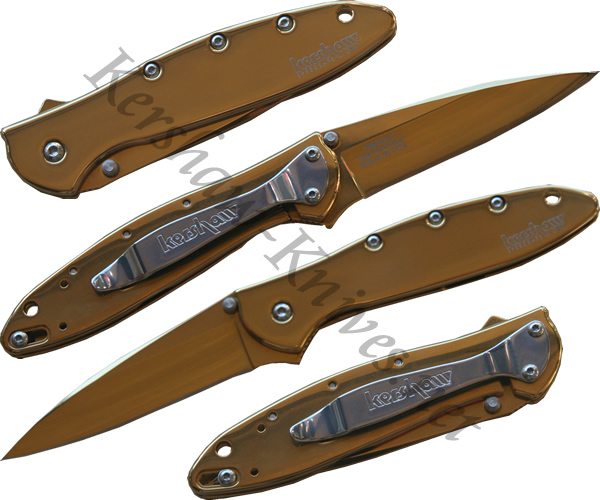 The Kershaw Leek model 1660 GLD has a shiny gold finish all over its handle and blade. The overall color of the knife makes it a nice show piece and it looks absolutely fabulous when it is engraved. The high quality Sandvik 14C28N blade is assisted with the Kershaw Speedsafe opening system. A lock is integrated in the handle to prevent accidental opening.